We live in a world of uncertainty and disruptions. To survive in this world, organisations should be agile. The word agility is now everywhere. This would be the miracle solution, the antidote to a lack of innovation. But this is not the case. Agility is not what your organisation needs. Let’s see why. The principle of agility is fairly simple: Since we are incapable of predicting the future, and finally admit it, we are therefore equally incapable of influencing it. Rather we shall let the course of things develop, and when something happens, we will react. The role of adaptive leadership is therefore to organise, respond quickly to rapid changes in our environment. The ability to know what to do when you don’t know what to do. The current importance given to agility clearly reflects a fantasy about startups by large organisations more entangled than ever in their bureaucratic glaze and desperately looking for a miracle solution. It also reflects the perception of a rapidly changing world, which calls for a very rapid reaction. But it’s wrong. On the one hand, the changes are not that fast. At least not for the astute leaders who keep an eye on the opportunities emerging from disruptive forces. For example: Artificial intelligence has exploded in recent years, but its first works began … in the 50s. On the other hand the development of new products and their commercialisation, including and especially when they are disruptive, often take very long. For instance it took Nestlé took 21 years to develop Nespresso successfully! 21 years before the project could break even. It took three launches to succeed. The first two launches were memorable flops before the third could succeed so spectacularly. The problem of Nestlé was not a lack of agility during all these years! On the contrary, it was to maintain the course, to persist in modifying what had to be changed, by changing the nature of the project. Originally designed for restaurants, the project was reoriented towards business buyers before finally targeting the general public. More fundamentally, agility is based on a paradigm of adaptation. The idea is that because we are not able to know where our environment is going, we have to be able to adapt very quickly to its fluctuations. This poses several problems: First, adapting takes time. By the time the organisation becomes aware of the change in the environment, competitors may have already taken the right places. There is much talk about organisational awareness. In the companies with which I work, I am always able to find someone who is aware of a disruption in progress, but that does not mean that this individual awareness is transferred to the level of general management! Secondly, the organisation must be able to react quickly. It is here that all efforts are being made: to organise to react quickly. But here we are dealing with a contradiction inherent in the large organisation; it succeeds because it brings a notion of scale to its activity. One can not develop economies of scale and agility at the same time. Third, agility assumes that we can adapt… to every possible case! For example, a car manufacturer does not know if its customers will want a red, green or blue colour. Rather than making a batch of each, and risk ending up with unsold units, it will configure its production tool so that the colour is determined when the customer places his/her order. Being able to react to the customer’s unpredictable demand means it no longer needs to predict it. However, we can see the limits: the choice of colours, and some other options, represents a relatively small set of possibilities. The tool can therefore be configured on this basis. But beyond a small number of options, the complexity becomes too large and the cost too high. The manufacturer can not design a car on demand. In other words, agility works in a risk situation, where anticipation involves a number of possibilities that is small and, above all, known beforehand; it does not work in uncertainty, where the number of possibilities is infinite and not known in advance. Fourth, agility is a form of passivity with respect to the environment. Yet, research, especially around the concept of effectuation, has shown that this is not the way entrepreneurs and innovators think. They do not seek to adapt to the world, but rather to transform it. The world to which Starbucks should have adapted was a world in which coffee consumption had been declining for 20 years. The world to which Swatch should have adapted was a world in which 90% of the world’s watches were produced by low-cost Japanese manufacturers; there remained only the top of the range for a Swiss manufacturer. The world to which Zara would have had to adapt was a world in which it was obvious that no European textile manufacturer could survive except in the very high end. Instead of adapting to this world by being ‘agile’, these three pioneers – Starbucks, Swatch and Zara – questioned these falsely evident assumptions. They transformed their environment, they did not adapt to it. They had nothing nimble. The obsession with agility is like prescribing a drug before making the diagnosis. This is unfortunately a frequent habit of management and consultants; who jump from one fad to another. Failing to apply a thorough diagnosis of the causes of lack of innovation, one jumps to the first fad (or rather the 200th). Sure, it’s good for the consultants, but does it solve the problem? Surely not. So, what is the real reason why your company does not innovate? I have often referred to it on this blog; it is the innovator’s dilemma, a term coined by innovation expert Clayton Christensen. In essence, an organisation is reluctant to bet on the future because it wants to protect its legacy activity. It is caught in a conflict between this activity and the future: if it bets everything on the future, it risks sacrificing its legacy activity, without any guarantee of succeeding in the future activity (which can be a flash in the pan). If it seeks to protect its legacy activity, it risks missing the future opportunity. Christensen shows that if the legacy is doing well, the organisation will be reluctant to undermine it and, hence, will tend to miss disruptive opportunities (think Kodak). What the innovator’s dilemma shows is that the advantage of startups is not so much their agility as the fact that they have no legacy activity to protect. They are not hampered by their financial, intellectual and emotional investment in this activity. Of course agility is necessary; most large organizations show pachydermic heaviness: the slightest initiative requires 200 powerpoint slides and 27 meetings, but it has limits. 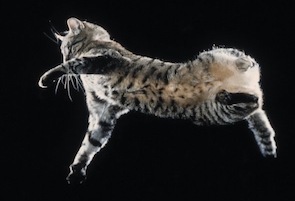 The cat, which falls back on its feet even when falling head down, is a model of adaptation. But even its abilities have limits: if it falls from the top of a 20-storey building, it will adapt perfectly for most of the journey, but will die at the very end. Agility is therefore not sufficient because it does not solve the main difficulty – A lack of innovation – Not to solve this difficulty is to expose oneself, as with so many other previous managerial modes, agility too will disappoint when disruption eventually hurts. More on the Innovator’s dilemma: Five mistakes to avoid when managing a disruptive project. More on the conflict of commitment and how it explains the lack of innovation: Immunity to change: these rational commitments that prevent innovation. More on the Nespresso project’s amazingly story: Nespresso: when the simplicity of the product hides the complexity of the innovation process. This article was first published on Philippe Silberzahn and is published here with his kind permission. Philippe is a fellow Professor along with with Dean van Leeuwen at CEDEP He is a recognised expert in innovation and entrepreneurship and an Associate Professor at EMLYON Business School in France; a Research Fellow at the Ecole Polytechnique and a visiting lecturer at HEC Paris, EPFL/HEC Lausanne, and Solvay Brussels School of Business and Economics. He was previously a Research Associate at INSEAD in Fontainebleau, France.